Recently I’ve noticed the serious lack of vegetables on our plates. This is our first summer without a CSA share in a few years, and sadly, it’s a noticeable difference. Since I couldn’t see spending the money this year on a share, lets chalk it up to the fact that there aren’t enough hours in the day especially for such a slow and tedious task as food shopping. One thing that I like when I’ve fallen into a rut of the food sort is to get somebody else in my kitchen with me. It kicks things up a bit. Not only to I have to think about where I store thing, so that somebody else can find them, but I can even sometimes force them into a grocery store with me after work so that I don’t have to die of boredum; alone, in the freezer section go it alone. My little sister is just the kind of suckahkid for this job. I drove, she googled. We are both some of the least clean, and or “put together” people after work; she is apprenticing for the summer, we get pretty filthy at times. We were entertaining a vegetarian for the evening, and when I have to cook to comply with vegetarianism, it’s like I’m broken I literally can only think of things involving pancetta and some kind of beef. Thankfully with our two heads put together we finally found some hot-weather-appropriate foods that we could all enjoy. We made a TON of it. and dressed it with fresh squeezed limes – 4 limes, I think. I think it all really depends on how much you are making and how you like the ratio. 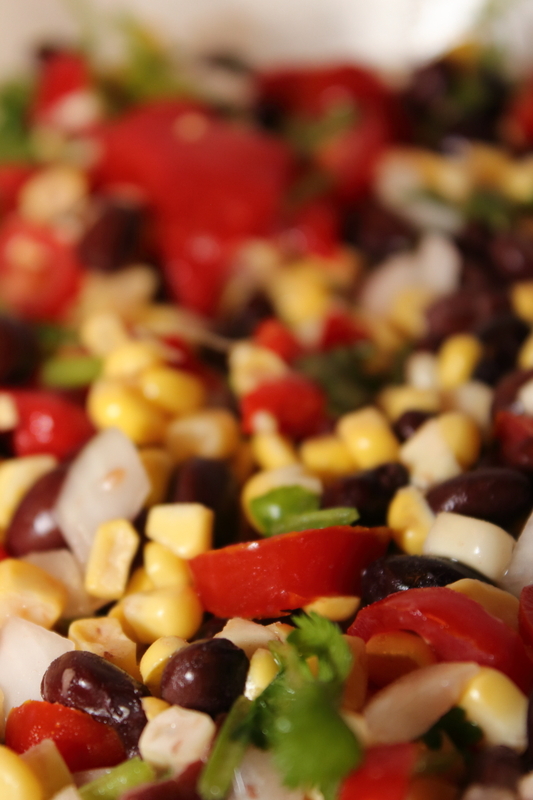 We did a pretty even mix of corn, to black beans. This is a delicious side salad or something to dip chips into, or might even be good to have with or on bbq meal. 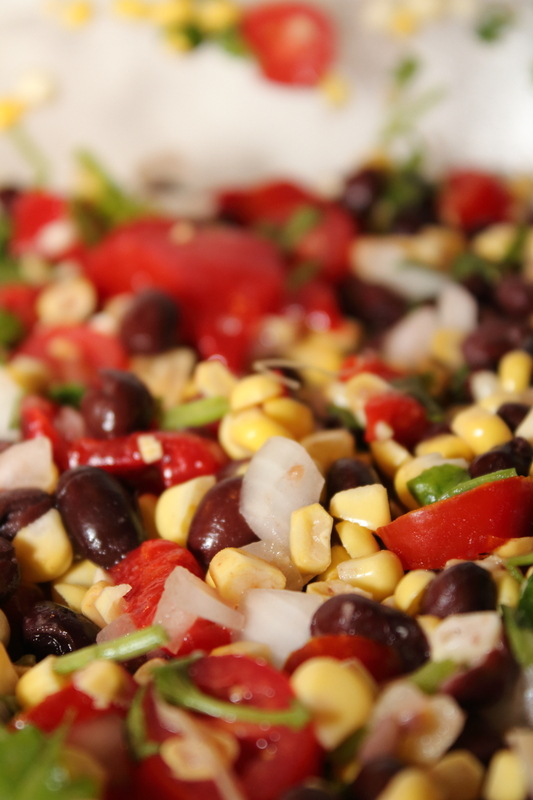 I have made several versions of this salad over the summer, and nobody is sick of it yet. 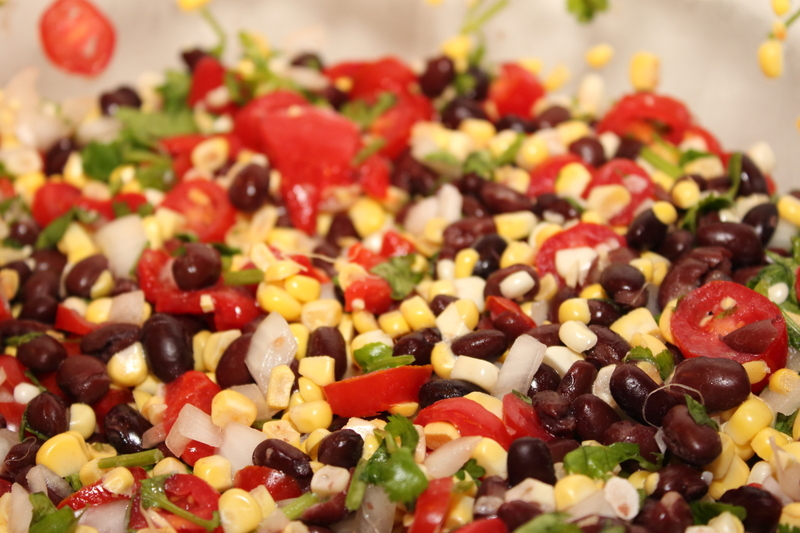 I love corn and black bean salads, its an entire meal. Delicious. It’s so good with fresh sweet corn, isn’t it? It also made a VERY good lunch on some of those seriously hot days we had this summer – it didn’t sit like a ton of bricks in your stomach after lunchtime! I never get sick of this either. It seems like one of those recipes that is hard to get wrong if you try a bunch of variations. Smart move for vegetarian dinner! Thank you for checking out my blog! It was the best vegetarian option we’ve ever brainstormed and is now going to be in heavy rotation for the summers to come!